Written by: Jim Demboski, P.E., Project Manager and Andy Long, Design Engineer, E.I.T. “We have flooding problems.” It’s a phrase that makes everybody cringe and run for higher ground and rightfully so. Historically, humans have done anything from dredging, installing berms and levees, to installing large storage basins to prevent flooding, but how do we get to these solutions? We perform flood studies of course! The level of effort it takes to perform a flood study can vary significantly not only based on size, but complexity of the study area. 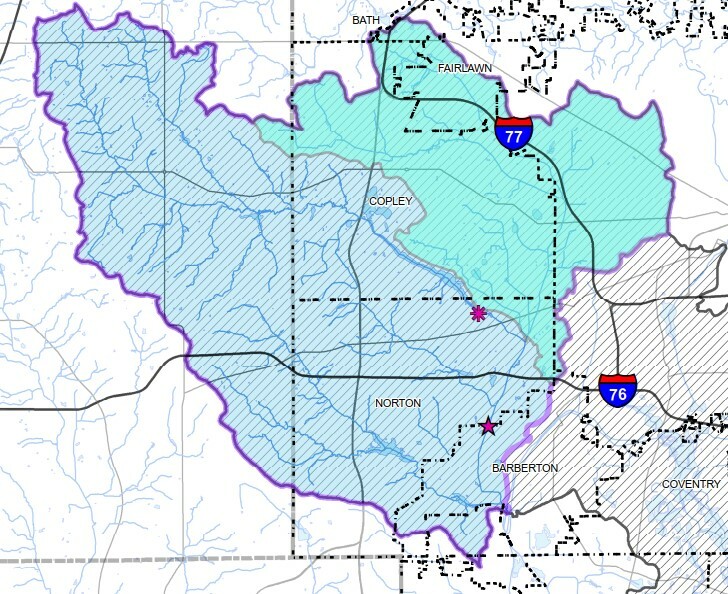 A preliminary flood study was performed on a small portion of the lower Pigeon and Wolf Creek Watersheds. Although the study area was only a small portion of the watershed it was particularly complex because it contained a reservoir, which main purpose is to supply drinking water to local communities. It’s also a confluence that has back watering effects, and last but not least, a developed flood plain with restricted and complex flow paths and storage areas. After initially gathering more information about the study area and developing the hydraulic model, we knew that field observations were going to be important. To give a little background, Wolf Creek is a 13.1-mile-long tributary of the Tuscarawas River, draining 77.6 square miles of land from numerous municipalities including Fairlawn, Medina, Barberton, Norton and Akron. In the 1930s, Wolf Creek and its tributaries, such as Pigeon Creek, Schocalog Run, Viers, Copley Frederick, Weinpert, Rousche, Black Pond, Bessemer, Infirmary, Hands Lateral and Frank, were deemed county ditches. 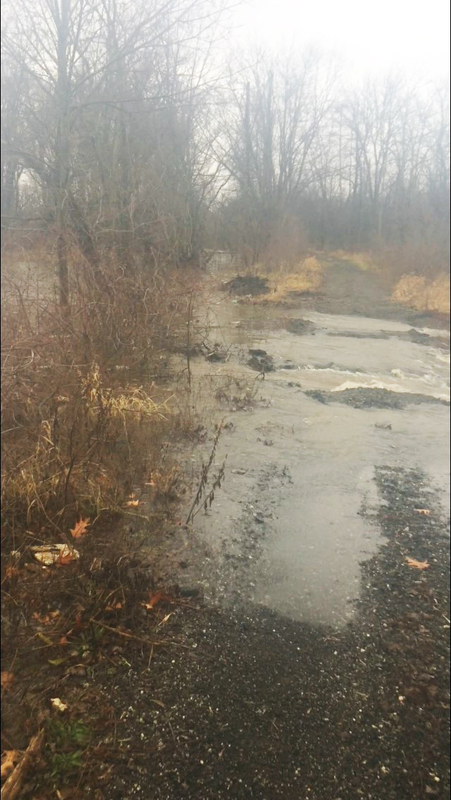 Historically, these ditches have been deepened, widened, straightened, and maintained in an effort to offset the increased discharge volumes and rates that upstream urbanization has contributed to the watershed. The watershed frequently floods its surrounding communities from not only over topping banks, but also from backed up storm sewer systems. To me, one of the great things about performing a flood study is that it provides a perfect balance between work and “play.” It’s a great opportunity to get into the field and enjoy nature. Not only was going in the field an enjoyable break from the number crunching, it was a crucial part in making changes to the hydraulic modeling for this project. Field observations for this study were particularly important to generate numeric values that affect how water is conveyed through the study area. For this particular flood study, we collected stream and reservoir stage information, which were at the upper limits along with stream stage information at an intermediate location within the modeled stretch. 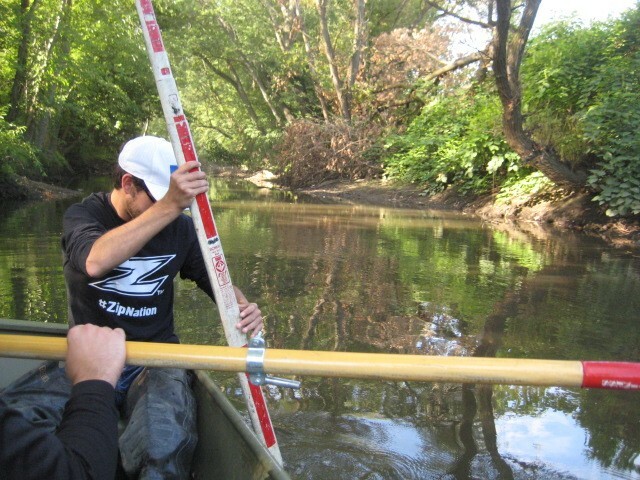 The team would often go out to record high water marks, take pictures and make observations, which couldn’t be done sitting behind a computer desk, even with stream gauges installed. 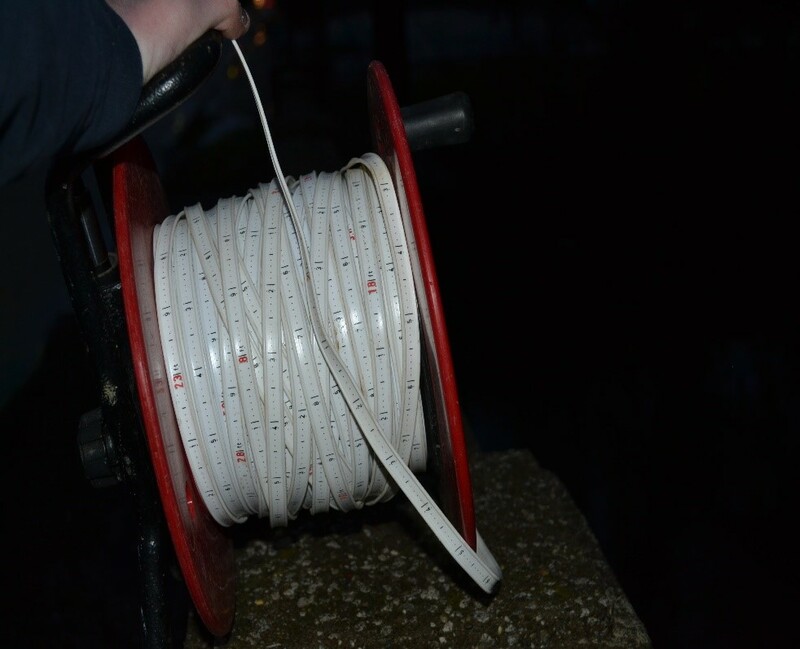 We found that another great tool for collecting stream stage information at various structures was to utilize a well level sensor that our environmental staff uses to measure water well depths, which was particularly useful in the dark. Following a cold, wet night, the team would go into the field to observe the presence of what we thought to be an existing storage area near the confluence of Pigeon and Wolf Creek. Having a basic understanding of how water enters and exits this area was important because it impacted the hydraulic model. There were some great takeaways from this study, and we learned that no matter what the objective of the study, field observations are pertinent to help understand and better interpret the modeling results, which helped influence some of our conclusions and recommendations. How important do you consider field observations for a flood study? At Environmental Design Group, we believe it’s a crucial step in creating the greatest environmental impact.